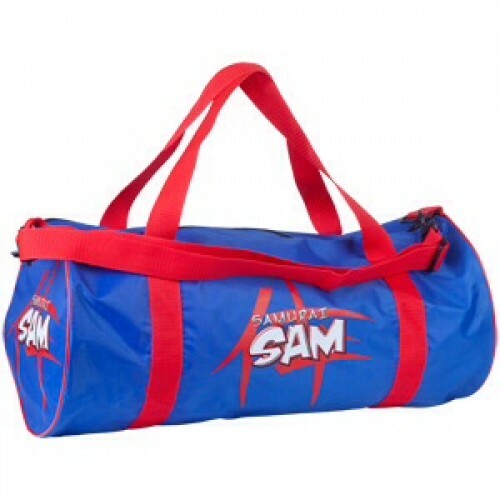 Carry your equipment in style with our new look Samurai Sam drum bags. 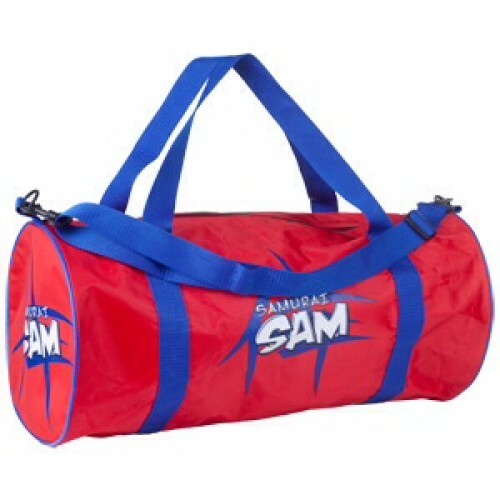 Available in red or blue with a single zip design and made of nylon for added rain resistance. Complete with 2 carry handles and a shoulder strap. The perfect accompaniment to your Samurai Sam attire. Barrel design. 56cm in length, 17cm in diameter. Very nice child's bag, kids seem to love them.